The communications equipment in public safety vehicles is perhaps the most important tool available to emergency services personnel in the field. It is essential that it is installed correctly. When it comes to best practice for the installation of RF equipment and ancillary kit in vehicles, it is difficult to find better guidance than the Federation of Communication Services’ ‘FCS1362: 2016 UK Code of Practice’. “FCS1362 governs the position of how the kit is installed and where, the type of equipment, how the cables are routed, and what provides a good power supply,” says Jason McComb, scheme manager for the FCS Installer Training and Accreditation Scheme (FITAS). The easiest way to install the equipment is during the conversion stage. 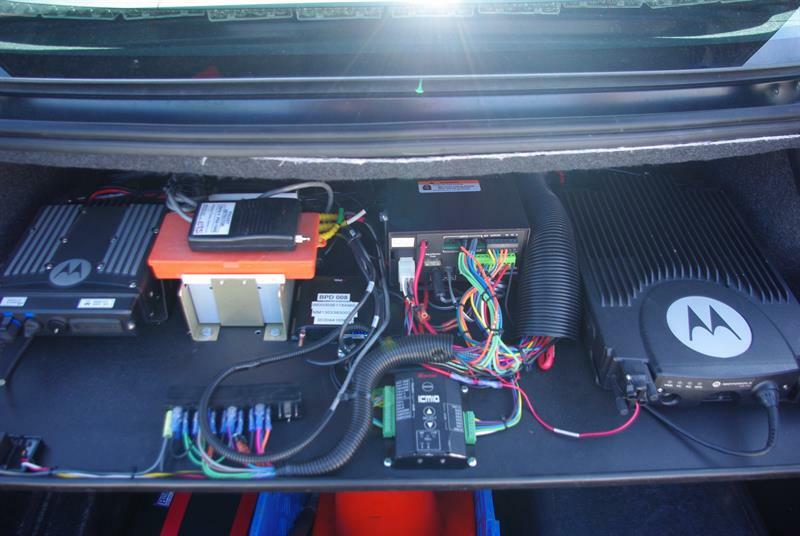 Implementing the wiring looms, cable runs, power connections and antennas during vehicle assembly makes fitting the radio and peripheral equipment later much simpler. Retrofitting fully converted vehicles, on the other hand, is hard work. “In ambulances all of the surfaces in the rear area are sealed to avoid contamination, so removing the panelling and so on is quite tricky,” notes Thomson. Some vehicles do require one-off bespoke designs, so as Thomson observes, it is down to the skill of the installer to provide a safe, well-thought-out installation. Generally, the principles of installation are common for most radio systems, as the main job involves installing a device, a transceiver and usually a separate radio control head, but the power levels of P25, TETRA and DMR may differ. The next step is to decide where to site the radio equipment so that it is both ergonomically positioned and safe to use. “You have to make sure the comms equipment does not interfere with the vehicle safety equipment or the driver’s vision,” points out McComb. The positioning of other peripheral equipment such as speakers and cameras must also be carefully considered. “You need to make sure the radio transmitters and other equipment do not interfere with the vehicle electronics. So, you need to ensure the electromagnetic compatibility protection is quite a high level of RF,,” advises Thomson. Installers need to be properly trained as the voltages present in such vehicles are significantly higher (currently up to 650 volts) than those in other vehicles (12/24 volts). The UK Health & Safety Executive also advises that components may retain a dangerous voltage even when a vehicle is switched off. But this adds another complication as smart charging alternators have a charging threshold. The vehicle may have long periods below this threshold when the auxiliary battery is not being charged, which might affect the occupant’s ability to communicate. Shoreline charging to the mains is one way to avoid being caught out, which is fine for fire engines as they spend a lot of time at the station, but ambulances do not. Antenna installation is another aspect to consider. The higher the power, the higher the electromagnetic radiation, so the antenna needs to be sited at a distance from the occupants that ensures radiation levels are not exceeded. Compton adds that installers must also be careful about how many aerials they add to the roof. Too many holes in the roof and you can affect the structural integrity of the vehicle. Multiple antennas combined in one housing can overcome this problem. Public safety communications are beginning a migration to 4G LTE cellular solutions and various models are emerging for mission-critical LTE, partly determined by individual national requirements, geography and budget. For example, Finland’s blue-light vehicles have TETRA mobile radios and 3G/4G routers installed with two SIM cards and two modems connecting to two MNOs for added resilience. But as Antti Kauppinen, head of department, Mobile Technology Development and Strategy at Suomen Virveverkko Oy (State Security Networks), points out: “We are looking at a broadband solution to replace TETRA, but that’s when it gets complicated. TETRA radios and routers mounted inside the car have more powerful transmitters than normal cellular 4G LTE smartphones. “4G LTE coverage is good in the cities, but what about rural areas? You need to build more coverage or you need tactical networks – in other words you bring your network with you, and that is much more complicated with 4G. For Kauppinen the biggest issue is how to find a replacement for TETRA direct mode operation (DMO). “If you have no DMO available, you have no fallback, and that is critical. 4G tactical networks are one way of replacing DMO. If public safety personnel are relying on a commercial LTE service in the future, then maybe firemen could connect to a tactical 4G bubble in the vehicle outside and so replace DMO that way,” he says. Meanwhile, the supply side has 4G routers ready and waiting to go. 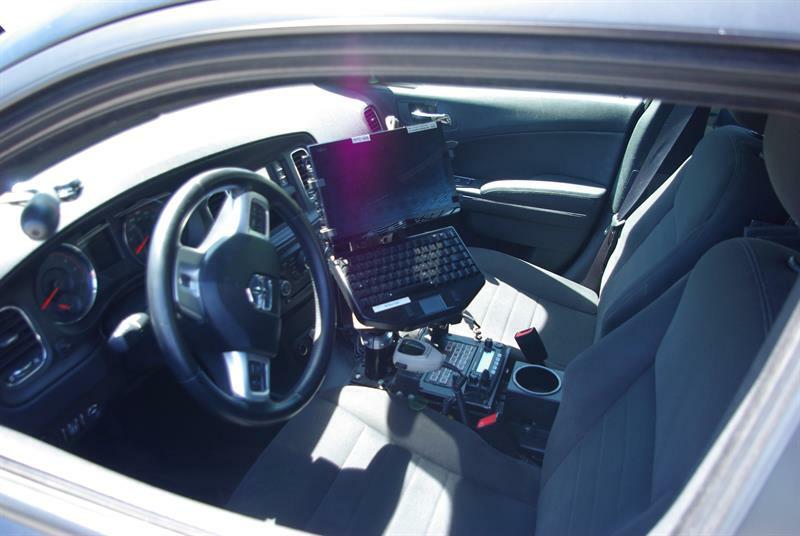 Both Sierra Wireless and Cradlepoint provide 4G routers/gateways that provide connectivity within the vehicle and the kind of tactical Wi-Fi/4G bubble of coverage around the vehicle that Kauppinen refers to. These routers receive and transmit multiple types of connectivity including Wi-Fi, private and public cellular, satellite and traditional land mobile radio (LMR). The routers automatically detect networks and connect to the best available one based on predefined priority management policies. Benoît Tournier, marketing director, IoT solutions at Sierra Wireless, explains: “The Vehicle Area Network gateways can use an onboard diagnostics (OBD) interface to retrieve in-vehicle telemetry to help identify performance issues and prevent breakdowns. Wi-Fi connects tablets, laptops, printers, DVR, body-worn cameras, as well as drones taking video footage. The control centre can remotely monitor the vehicle, the driver’s behaviour and the environment around the vehicle. 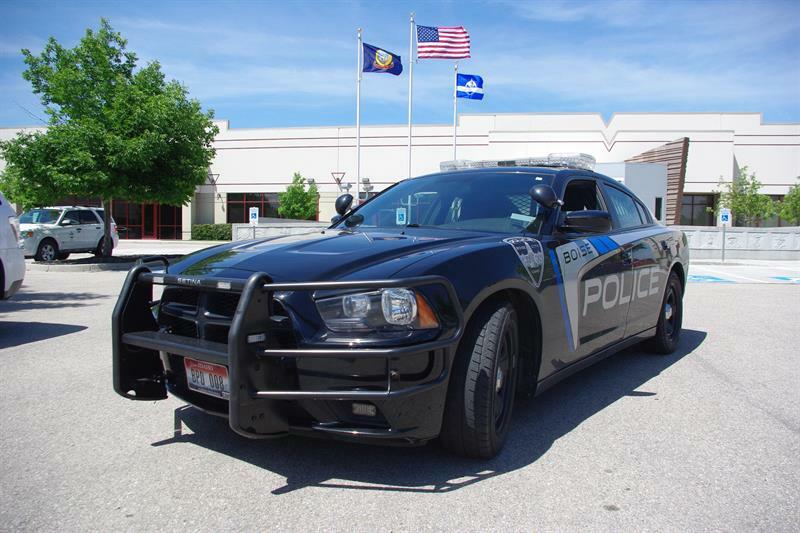 Todd Krautkremer, chief marketing officer at Cradlepoint, observes: “The thing is that there are a lot more bits of equipment that first-responders want to connect to nowadays, such as sensors, firearm holders, lights and sirens. 5G is looming on the horizon and Krautkremer reports that the Los Angeles Police Department (LAPD) is looking forward to harnessing it. “They have a lot of mobile command centres, which are very mobile and they would like to be able to leverage high-speed 5G connectivity. A lot of video is being captured, but it is not always possible to transfer it over existing LTE networks. So, they have to come back to the station to offload it. Public safety vehicles with 4G and later 5G routers will certainly transform what the emergency services can do and the way they work. But to return to the opening theme, skilled and well-trained installation engineers are needed to fit all this new communications equipment in a reliable and safe manner, so that it does not fail when it is most urgently needed. It is important that enough installation engineers are trained and available. The FCS’s McComb is concerned that this is not the case. “The training of the engineer is lacking at the moment or not adequately checked. It is still a daily challenge to get people properly trained and accredited. The problem is a lot of people think they are properly trained already.” Something to watch out for, then.